Large trucks are present throughout the roadways, helping to transport a vast amount of products and byproducts across the country. The increase in the use of the trucking industry in the United States has lead to commercial motor vehicles (CMV) sharing the roadways with much smaller vehicles, sometimes with devastating effects. While most of the time CMV and their drivers are able to co-exist with motorists, truck accidents are still very prevalent, often resulting in serious long-lasting physical injuries and fatalities for the motorist involved. 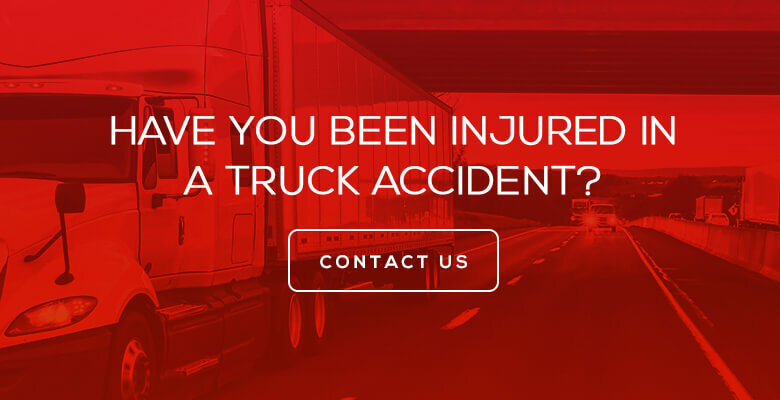 Our Philadelphia truck accident attorneys are well-versed in the industry regulations, relevant Pennsylvania and New Jersey state laws, and trucking insurance loopholes. If you have been involved in an accident with a large truck or have lost a loved one, finding the best injury lawyer to represent your case is vital to ensure that you receive the just compensation for your injuries and medical expenses. The trucking industry in the United States has vastly grown post World War I, with commercial freight activity overwhelmingly surpassing traditional means of transport, such as rail, water, and pipeline. Growth in the industry is only projected to further expand as more and more industries rely on trucks to transport both raw materials and finished goods across the country. Currently, trucks transport goods for retail stores, hospitals, grocery stores, banks, gas stations, and construction sites, just to name a few. The impact of the trucking industry in the United States economy is expressed in the industry adage, “If you bought it, a truck brought it.” According to the American Trucking Associations’ April edition newsletter entitled, “Latest Edition of ATA American Trucking Trends Shows Industry’s Strength,” in 2011, trucks moved $603.9 billion in freight – more than 80% of all freight transportation revenue. In 2007 alone, more than 92% of prepared foods were moved by truck. Trucks are an integral part of our economy and a well-regulated industry. An agency division of the U.S. Department of Transportation, the Federal Motor Carrier Safety Administration (FMCSA) regulates almost all aspects of the trucking industry. Furthermore, each individual state regulates commercial trucking vehicles. For example, in New Jersey, a law is in place where trucks are not allowed to drive in the left-hand lane, whereas in Pennsylvania there is no limit to which lane a truck may drive in. The FMCSA, regulates how many hours a truck driver can legally drive daily, weekly, and monthly. The Federal Highway Administration has established a 0.04% blood alcohol concentration level for all CMV (commercial motor vehicle) drivers, 0.04% lower than non-truck drivers in Pennsylvania whose BAC is 0.08%. The sheer size and potential impact of a truck involved in a motor vehicle accident can have devastation and often fatal results for motorists. Despite changes and improvements within the industry, there is no accounting for adverse weather conditions being the cause of an accident. Nearly 14% of all fatal and nonfatal crashes involving large trucks occurred during inclement weather, particularly rain. Trucking-related injuries to motorists include internal bleeding, broken bones, head and neck injuries, scars and disfigurement, and many more. The compounding medical bills from a trucking accident alone can be overwhelming. That is why finding a Philadephia personal injury lawyer experienced in truck accidents is vital to help get you and your family back to where you were before the injury occurred. In Pennsylvania, out of the 7,087 reported truck accidents that occurred in 2007, 178 deaths resulted from these types of crashes. According to the United States Department of Transportation, approximately 500,000 accidents are caused by truck blind spot accidents each year, with nearly 160,000 truck-related fatalities. Since 1994, the U.S. Department of Transportation has been warning about the dangers of driving with trucks on the road through two of the Federal Motor Safety Administration programs, the “Teens and Trucks,” program, and the program “Don’t Hang out in the No-Zone.” These two programs strive to educate all drivers about the specific hazards of driving alongside trucks and the driving requirements needed to safely coexist on the roads. A commercial truck has four known blind spots or “no-zones,” the area immediately behind the truck, directly in front of the truck, the area surrounding the passenger’s side cabin, and a small portion adjacent to the driver’s side of the truck’s cabin. Generally speaking, if you cannot see the truck driver’s face in his or her side mirror, then he or she cannot see you. When a passenger car does get into an accident with a large truck the sheer size of the truck tends to lessen the injuries of the truck driver and exacerbate the injuries of the passenger vehicle. When it comes to trucks, the bigger the truck the bigger the blind spot. The longer the vehicle, the greater the difference in the turning path required for a wide turn. You diminish your own cushion of safety when you tailgate a truck, or cut in front of one abruptly, as 1) the truck driver may very well not see you as you are in their “no-zone” and 2) trucks are not as maneuverable as passenger vehicles, when a hazard pops up on the road you want to ensure your safety, and those of your loved ones, by factoring in the likelihood that large trucks may need to make a quick correction that takes both time and space. Always pass a large truck on their left side, and do not linger in the process. The quicker you can get out of the truck’s “no-zone” in a controlled manner, the better. Lastly, truck driver’s cannot see everyone on the road simply because they sit higher off the ground. Instead, they are blanketed by a blind spot where a driver loses sight of the vehicles on the road. A recent study by The Federal Motor Carrier Safety Administration and the National Highway Traffic Safety Administration (NHTSA), found that 29 percent of all large truck accidents involved some form of brake failure. The most recent January 2014 NHTSA large trucks traffic safety report, found that 317,000 trucks were involved in traffic accidents which resulted in 104,000 people injured and 3,921 people killed. Improper maintenance was reported as the main reason for brake failures. Title 49 of the Code of Federal Regulations requires truck drivers prior to departure to perform a detailed pre-trip inspection noting the status of the truck’s brakes in the daily log. Truck owners also have a duty under federal trucking laws to properly maintain, repair, and inspect a truck’s brakes on a regular basis and to keep an up-to-date maintenance record. When the driver or company, negligently fails to maintain their trucks or purposefully compromises the efficiency of the truck’s braking power, that results in a traffic accident which causes serious bodily harm, the injured party has a legal right to hire a Philadelphia truck accident attorney and seek compensation for the harm caused. When a big-rig, tanker, flatbed, or commercial truck’s brakes malfunction or fail, devastating injury can occur. Under Pennsylvania Tort Law, a valid claim for negligence will be made when a plaintiff establishes duty, breach, causation, and damages in Philadelphia. When commercial truck brakes fail or malfunction, there are several different parties that may individually or together be held responsible for the injury caused. The four most common parties are the driver, owner, truck mechanic, and or the brake manufacturer. These parties may be found liable if their failure of care resulted in an accident and subsequent harm. As defined by the Federal Motor Carrier Safety Administration Regulation § 350.105, a large truck is a vehicle with a gross vehicle rating greater than 10,000 pounds. Therefore, when a large truck experiences brake failure or the inability to stop, a 10,000-pound juggernaut is unleashed. By overloading a truck it requires the driver to compensate both in stopping distance as well as in speed. Other dangers of overloaded trucks are a heightened risk for a potential tire blowout that can cause a driver to lose control of their vehicle and potentially jackknife dramatically changing driving conditions for all motorists on the roads. A chain-reaction car accident often follows a truck jackknife as a truck can quickly block lane access and create unpredictable driving conditions. If a truck driver with an overloaded truck does not leave ample distance, it increases the likelihood that the truck will be involved in a collision as it may not be able to stop in time to avoid striking a passenger vehicle or another truck. Each Philadelphia truck accident lawyer at Rosenbaum & Associates has vast experience in representing their client’s best interests. If you or a loved one has been involved in an accident with an overloaded truck, you may be eligible to pursue legal compensation for current and future medical expenses associated with the accident, including lost wages, pain and suffering from the liable party. According to the Federal Motor Carrier Safety Administration (“FMCSA”) in recent years there has been a steady rise in truck fatalities throughout the United States, after several years of decline. The most recent statistical data available indicates that within the year 2011, 3,757 people died in collisions with trucks while another 80,000 were seriously injured. The National Highways Transportation Safety Administration (“NHTSA”) notes “one out of nine traffic fatalities in 2008 resulted from a collision involving a large truck.” The Federal Motor Carrier Safety Association (“FMCSA”) is the regulatory body for trucks and commercial motor vehicles. Federal law, as well as state laws and regulations, govern the trucking industry. Trucks that travel across state lines is also known as interstate commerce. The FMCSA regulates the length, width, and weight limits of each interstate commercial motor vehicle. Overloaded trucks are among the deadliest road hazards. Large trucks, in general, require extra time and space to come to a complete stop. Large commercial trucks have a federal gross weight limit of 80,000 pounds, which includes the combined weight of the truck, trailer, and additional cargo. In order to ensure that the trucks are transporting cargo within their legal limit, truck operators are responsible for checking their own vehicle’s weight. Normally for a small fee, trucks can be weighed at truck stop scale. Large trucks are especially lethal in accidents involving smaller passenger vehicles. The NHSTA recent truck study found that when a fatal truck accident does occur, 74 percent of the time, occupants of the vehicle were the ones fatally injured as opposed to the 16 percent were the occupants of the large truck was the severely injured party. If you or someone you love has been severely injured or wrongfully killed in a large trucking accident, the legal team at Rosenbaum & Associates can help your case. For questions or a free case evaluation, call our Philadelphia office today at 1-800-7-LEGAL-7. You shouldn’t have to suffer due to the negligence of someone else – a dedicated Philadelphia truck accident attorney will fight for the compensation you deserve!